Dose: Take 1 capsule three times a day before meals (preferably 30 mins). We recommend you to take Fertilace for Ovum Health along with Fertilace F if you are diagnosed woth infertility due to PCOS or endometriosis. Fertilace for Ovum Health is intended to optimize egg quality and enhance the process of ovulation in trying to conceive women of all ages. Fertilace for Ovum Health is especially helpful for trying-to-conceive women who are over the age of 30 and for women who have PCOS. Given the everyday chemicals we simply can’t avoid, every woman can benefit from taking steps to improve egg quality before conception. Grow your baby starting with the healthiest egg you can provide! Age isn’t the only factor that impacts egg quality, and even young women can have suboptimal egg health. Chronic exposure to environmental toxins, stress, poor diet, hormonal imbalances, and ovarian surgeries all take a toll on egg quality, making it difficult to conceive. Poor egg quality can lead to fertility issues in a few different ways. As egg quality decreases it is more difficult for sperm to fertilize the egg, implantation following fertilization is less likely to be successful, and miscarriages are more frequent due to chromosomal abnormalities. Research indicates that egg cells are highly susceptible to harm from free radicals, the unstable oxygen molecules that are produced as the body breaks down toxins. And, to function in a healthy way, egg cells need to produce a tremendous amount of energy. Fertilace for Ovum Health contain herbs that not only protect egg cells from the damaging effects of free radicals, but also promotes overall uterine health; thereby increasing the chances for a successful conception and implantation. How do I know if have low egg quality? If you have polycystic ovarian syndrome (PCOS) or if you are of advanced maternal age (over 35 years old), your egg quality is likely to be less than optimal. One method for determining if you might have low egg quality is to test your FSH (follicle stimulating hormone) levels. FSH is the hormone responsible for encouraging the ovaries to produce a mature egg. Higher than normal levels of FSH can suggest a fertility issue, such as diminished ovarian reserve or low egg quality. Why should I be concerned about my egg quality? 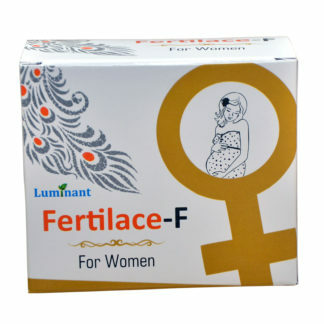 What is the recommended dosage of Fertilace for ovum health? You can begin taking Fertilace for ovum health at any point in your cycle – no need to wait for a specific time. Each bottle of Fertilace for ovum health contains 90 capsules, a one-month supply. 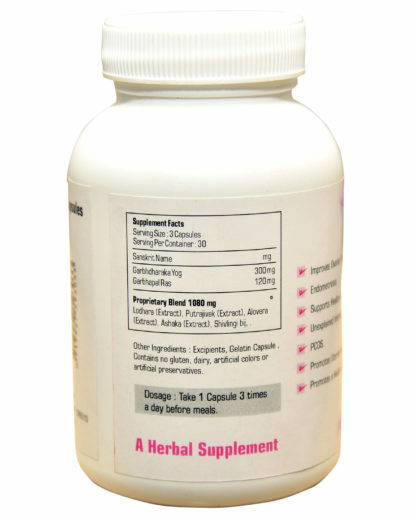 We recommend taking 3 capsules each day in divided dosages with food. Are there any known side effects or contraindications? Fertilace for ovum health has no known side effects. However, as with any dietary supplement, if you have a pre-existing medical condition, we recommend that you discuss taking Fertilace for ovum health with your doctor. Please consult with your physician before taking Fertilace for ovum health if you have been prescribed a medication for depression or anxiety, or if you are taking the herb St. John’s Wort, as large amounts of myo-inositol may have additive effects when taken along with drugs and herbs classified as selective serotonin reuptake inhibitors (SSRI) and selective serotonin norepinephrine reuptake inhibitors (SNRI). How long will it take to experience the benefits of Fertilace for ovum health? 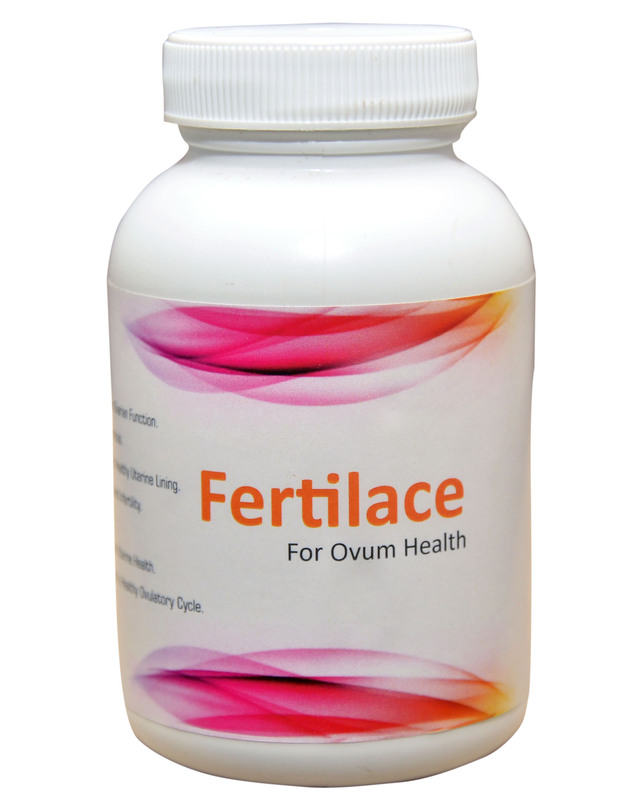 The ingredients in Fertilace for ovum health will begin to work immediately to improve egg quality and ovarian function. And, while results may vary from one woman to the next, we expect to see improvements in egg quality, ovarian function, and cycle regularity within 3 months. 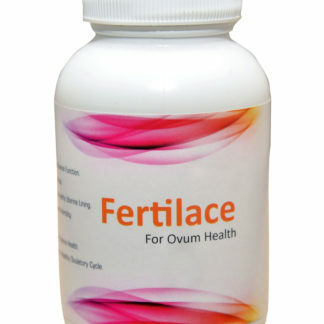 Fertilace for ovum health can be discontinued once pregnancy has been confirmed. 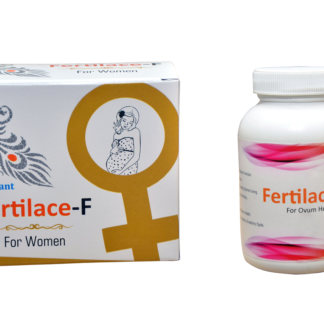 Can I take Fertilace for ovum health with Fertilace F? Yes, we recommend you to do so to improve your chances of getting pregnant. 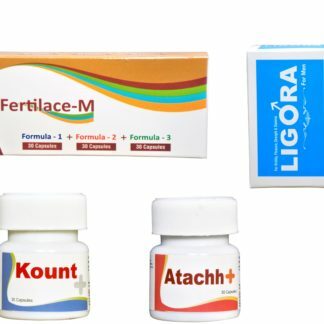 Can I take Fertilace for ovum health while I am pregnant or breastfeeding? Because the ingredients in Fertilace for ovum health are intended to increase fertility and to aid conception and are not required during pregnancy or lactation, we do not recommend that you take Fertilace for ovum health during pregnancy or while you are breastfeeding. Once pregnancy is confirmed with a urine or blood test, we recommend discontinuing Fertilace for ovum health. Does Fertilace for ovum health contain a prenatal? No, it does not. We recommend that you also take a dietary supplement that contains prenatal vitamin support, such as Fertilace F.
I have PCOS. Will Fertilace for ovum health help me? Because many women with PCOS have cells that are resistant to insulin, these women tend to have higher than normal levels of insulin circulating in their blood. And, for some reason that is not yet well understood, high levels of insulin cause these women to produce higher than normal amounts of male hormones, such as testosterone, which impact the ability of these women to ovulate and menstruate normally. 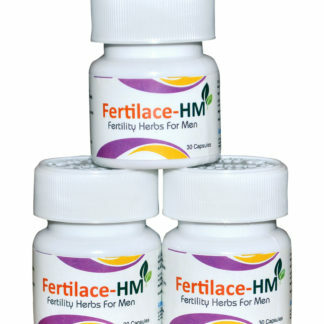 Fertilace for ovum health contains carefully chosen herbs which helps regulate the hormonal imbalance. Many fertility experts believe that by supplementing with myo-inositol, insulin sensitivity is improved, hormone balance is restored, and fertility is increased in women with PCOS. For best results in PCOS, use Fertilace for ovum health with Fertilace F which contains myo-inositol along with other vitamins, minerals, herbs and anti-oxidants. I don’t have PCOS, but I have been told my egg quality is poor. 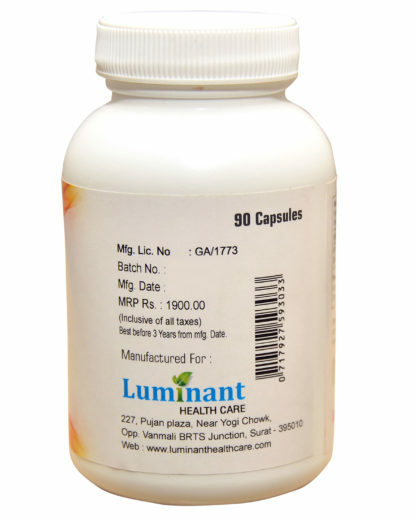 Can I take Fertilace for ovum health? 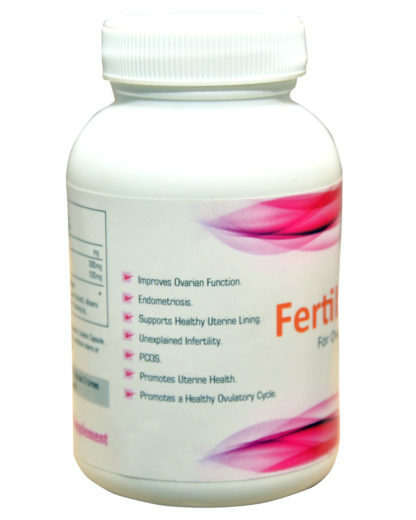 Yes, Fertilace for ovum health is intended to help improve egg quality in all women who are actively trying to conceive, whether or not they have been diagnosed with PCOS. 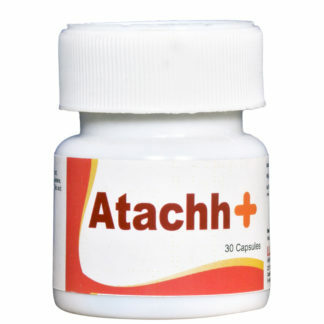 Is this product okay to take if you have regular periods every month? Yes, we would still recommend this supplement to help improve egg quality even if you have a regular cycle.